The story of a "has been" Wrestlers fall into reality. Interesting theme and great acting is what takes this movie above the average line. The plot is simple and very easy to follow. At first I thought that this was going to be a great action movie, but after I've been watching for a short while, I realized how much of a drama this actually is. It is quite impressive. Having said that, I do think it is a bit too dramatic for my taste, but that might just be me personally. The wrestling matches and all the activity around them is quite good, and at time a bit amusing. A lot of the music is 80'ies rock and roll. It really fits well the wrestling theme and the "back in the day/they don't make 'em that that anymore"-theme of the movie. Nicely done! All in all a good movie a bit above average. Very convincing story and acting. 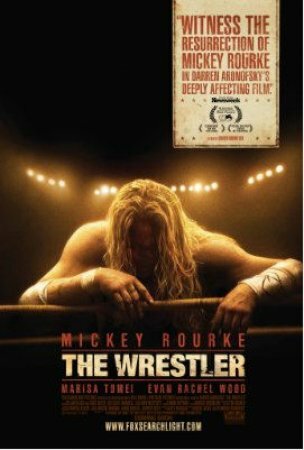 Mickey Rourke does a hell of a job, maybe it's his boxing career that makes him so convincing? Well any way it's a Drama with a big D. Very depressing most of the time, so you really wanna be in the right mood! 7 of 10 for daring taking on that subject and for excellent acting.